Former Texas Gov. Rick Perry on Friday suspended his bid for the 2016 GOP presidential nomination, facing dwindling resources, bare bones staff and a staggeringly low position in the polls. "We have a tremendous field of candidates – probably the greatest group of men and women. I step aside knowing our party is in good hands as long as we listen to the grassroots, listen to that cause of conservatism. If we do that then our party will be in good hands," Perry said. "I give you this news with no regrets." 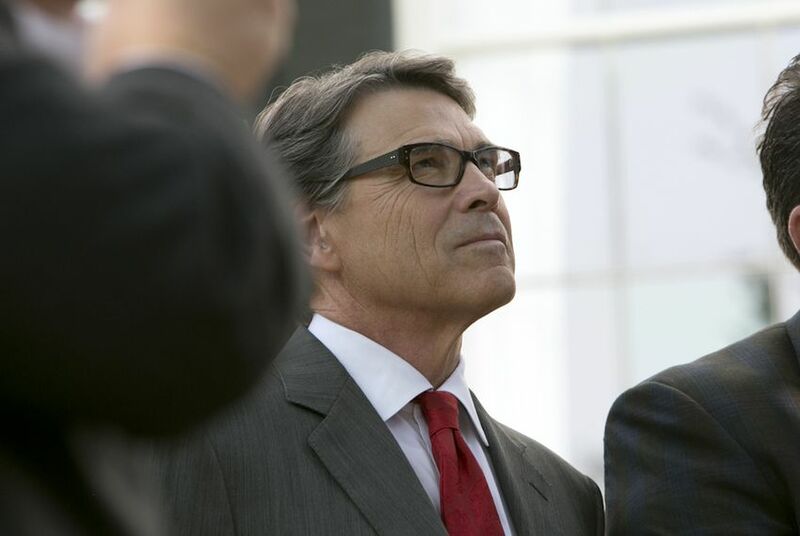 This was Perry's second run for the White House; his first bid, in 2012, ended in a start-and-stop fashion after a series of troubling debate appearances. In recent weeks, Perry had slimmed down his staff in the early voting states to just two paid workers in Iowa and South Carolina. That was the minimum requirement to participate in the second GOP presidential debate, which is being held next week in California. Perry had worked hard to convince GOP primary voters he was more prepared for a 2016 run than he was during his 2012 campaign, which flamed out in a series of gaffes. But his latest bid for the White House failed to gain traction, especially during a summer in which attention-grabbing businessman Donald Trump shot to the top of polls — trailed by another Texan, U.S. Sen. Ted Cruz. "The conservative movement has always been about principles, not about personalities. Our nominee should embody those principles," Perry said. "He – or she – must make the case for the cause of conservatism more than the cause of their own celebrity." In an obvious reference to Trump, and in a speech loaded with religious references, Perry added: "Demeaning people of Hispanic heritage is not just ignorant, it betrays the example of Christ. We can enforce our laws and our borders, and we can love all who live within our borders, without betraying our values." On Twitter, Trump called Perry a "terrific guy." " I wish him well - I know he will have a great future!" Trump added. While Perry's own campaign was on life support, a super PAC backing him still has $13 million in the bank. Reached by phone on Friday evening, Jordan Russell, a spokesman for the pro-Perry Opportunity and Freedom super PAC, said what to do with the remaining funds hadn't yet been determined. "Our purpose is to support Gov. Perry 110 percent as long as he is in the race, so we have no plans," he added. "It’s something we’ll have to figure out in the coming days and weeks. We don’t have any particular contingency plans." Perry said as he approaches the next chapter of his life, he does it with his wife, his house in the country, his family and his dogs — and "the absolute best sunset you have ever seen from the back porch of that house." "Indeed," he added, "life is good. I am a blessed man."